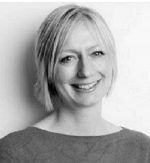 Amanda is a lecturer in Audiology at Aston University, and a registered clinical scientist with Bristol Children’s Hearing Service. Amanda is also the ENT Specialty Lead and Audiology champion for the West of England NIHR Clinical Research Network. Amanda’s research focuses on the causes and impact of hearing loss in children, at both the individual and the population level. She is also working on developing interventions to improve shared decision making within clinical services.